The death of history teacher Craig Foster devastated his young wife, who'd sent him off to work that morning with a lovingly packed lunch. It shocked his colleagues at the Upper West Side private school. And as for the 10-year-old girls who found him in his classroom in a pool of bodily fluids, they may have been traumatized for life. Lieutenant Eve Dallas, of course, is more hardened to murder cases. And this is clearly a murder case. That lovingly packed lunch was tainted with deadly ricin. And Mr. Foster's colleagues, shocked as they may be, have some shocking secrets of their own. It's Eve's job to get a feel for all the potential suspects, and find out why someone would have done this to a man who seemed so inoffensive, so pleasant...so innocent. Now Magdelana Percell - there's someone Eve can picture as a murder victim. Possibly at Eve's own hands. 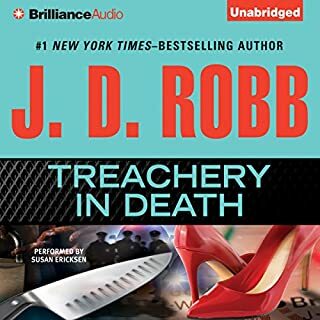 The slinky blonde - an old flame of her billionaire husband, Roarke, from his days on the wrong side of the law - has turned up in New York, and she's anything but innocent. Unfortunately, Roarke seems blind to Magdelana's manipulation, but not to her shapely figure and flirtatious ways. And he insists that the occasional lunch or business meeting with her is nothing to worry about...and none of Eve's business. Eve's so unnerved by the situation that she finds it hard to focus on the Foster case. Still, she'll have to put aside her anger, jealousy, and heartbreak, for a while at least - because another man has just turned up dead, and the case is taking some strange turns and hitting some frustrating dead ends. J.D. 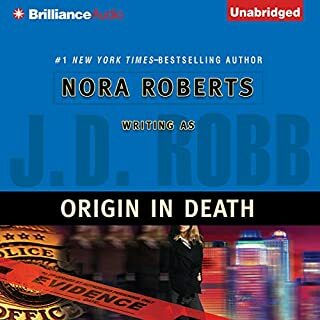 Robbs' in Death Series is a captivating journey through a homicide detectives life. Susan Ericksen does a wonderful job bringing the characters to life. 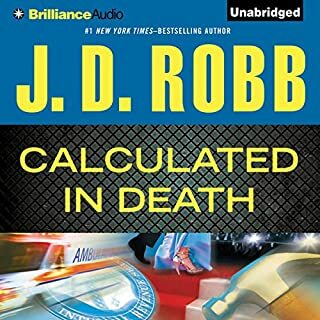 #Audible1, I would highly recommend this series. 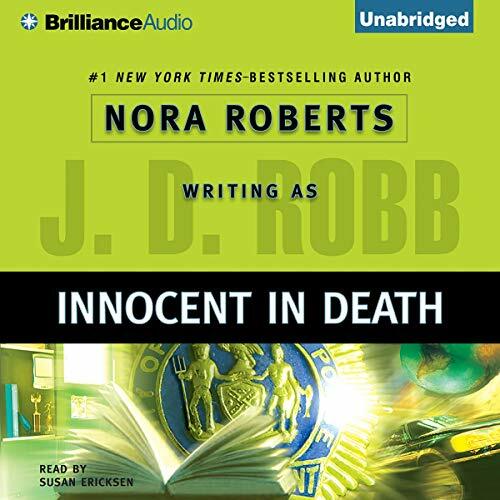 Innocent in Death was just as entertaining as the the last. I look forward to enjoying the whole series. This book is one of my favorites in the series because it is so heartbreaking. The victims and the killer are so sad. 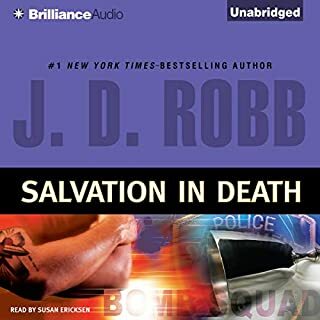 The story of Eve and Roarke will tug at your heartstrings as well. 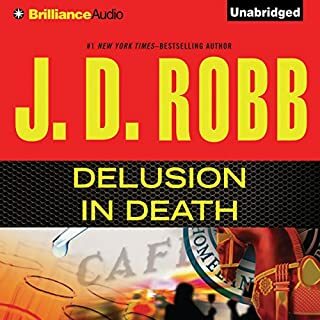 Another excellent book in this series. 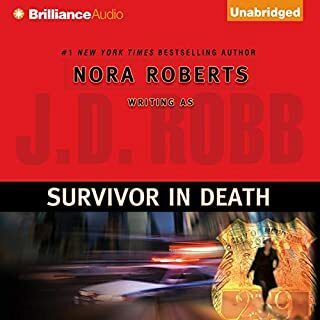 This narrator is the Perfect voice. 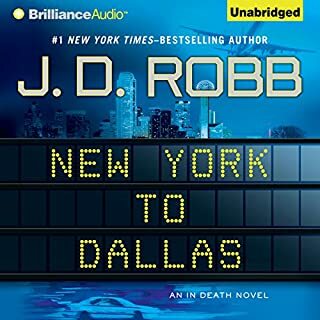 I will always be first in line to purchase any of the Eve Dallas books, but always want this narrator used. Susan Erikson you rock. The voices are what makes the stories for me. Topsy turvey twister with a dash of a man being a man. Koodles to Eve for her get back at the end. 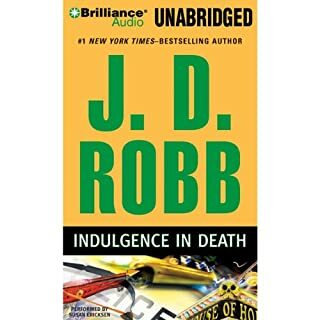 I love Roarke and Eve's relationship and soooo glad that J.D. 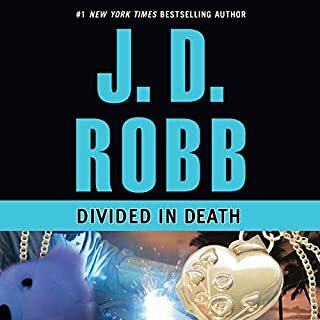 Robb keeps their marriage real on all levels and shows us that no matter how much we love Roarke he is still a man and can get a case of "the blinders" just like the rest of them. No worries if you love them too.... it works out in the end. The story line was in a class of it self. I am glad that I never know what to expect and there is alwasy something new to think about with each story. 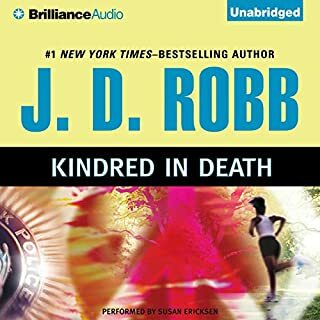 Happy Reading/Listening I am on to book 25. 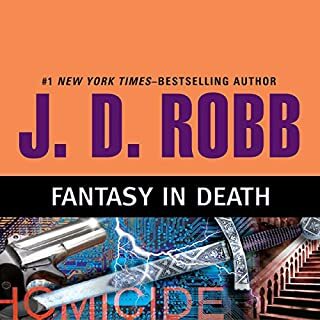 The mystery was tight and compelling, and the femme fatale from Roarke's past gave it just the right touch to make Roarke a little more human and less 'too good to be true' (although of course he is, lol). 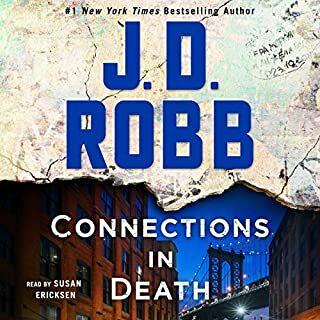 Eve and Roarke's relationship is the glue that holds this series together, in my opinion. The mysteries are almost always good, and Eve's focused determination to solve them makes her an engaging heroine. Thanks for a good listen. 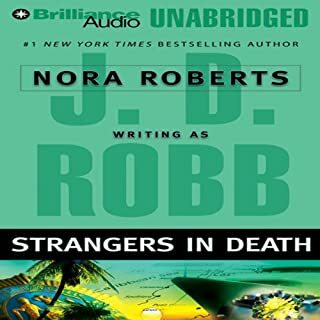 The narrator is excellent and brings the characters to life. Magdelleina....UGH!!! Eve and Rourke's relationship stronger than ever. I cried and got pissed off. Another great story!! This series never loses its flavor. Wow! What an excellent read/listen. Rapid moving story with exciting characters. Complete with road rage traffic outbursts. A strong mix of who done it and privacy issues. Nice twist and turns with a unpredicted outcome. So sweet, so innocent in death. OMG! I am SO hooked! With every Eve Dallas book that I read, I find myself deeper and deeper in. 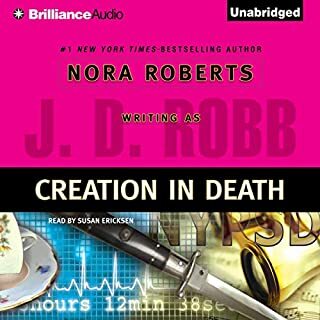 I love this series and I find that the narrator has everything to do with that. 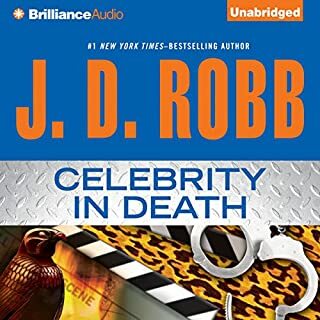 The writing is great, but the narrator just brings the words to life. I don't know how she does it, but she is spot on with the charactors. 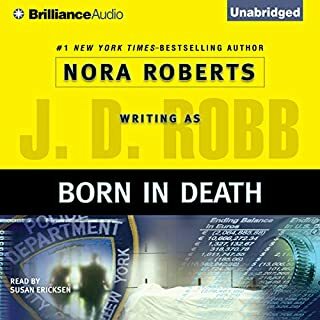 While I don’t care much for Nora Roberts romances I’ve been really enjoying her JD Robb in death series. 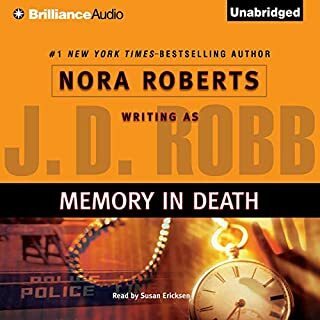 And Susan Erickson is one of my favorite narrators. Each book just seems to get better. I think this one was one of the best so far. The narration as always was first rate. This one actually made me cry! Beautifully written. 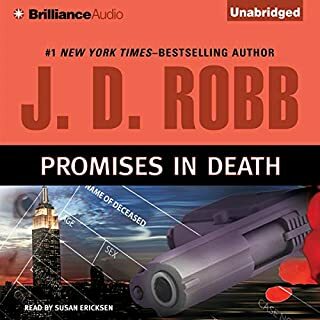 Such a great way to show a different side of Eve and Roarke. I think I was holding my breath the entire book. This book made me laugh and cry at the same darn time! So far the best book in the series! May she write 100 more!